First let me apologize for the map enlarging instructions I gave in my last post. It worked perfectly when I previewed my post but after I published it that function was lost. Sorry. You will recall in my last post the remnants of the Huron, Tobacco Nation and Neutrals joined and fled north to Michilimackinac and became known as the Wyandotte. France changed their governor and the Church changed its bishop. These two new administrators of New France also changed the policy of “no guns to the Indians”. Still enemies with the Iroquois they needed to find new allies and trading partners. They looked northward to the Ojibwa. 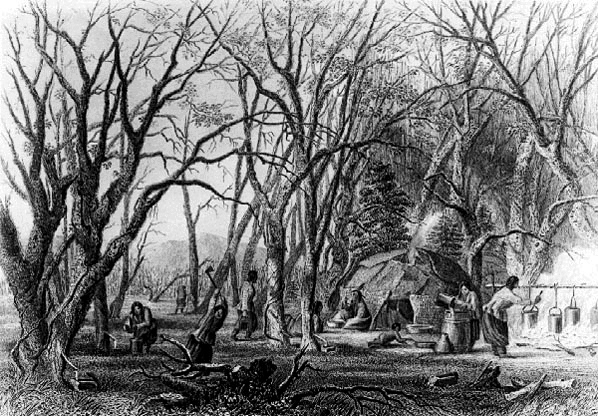 The Ojibwa held the richest trapping grounds on the continent. We were also the largest military power on the continent. The French established a trading post at Michilimackinac. 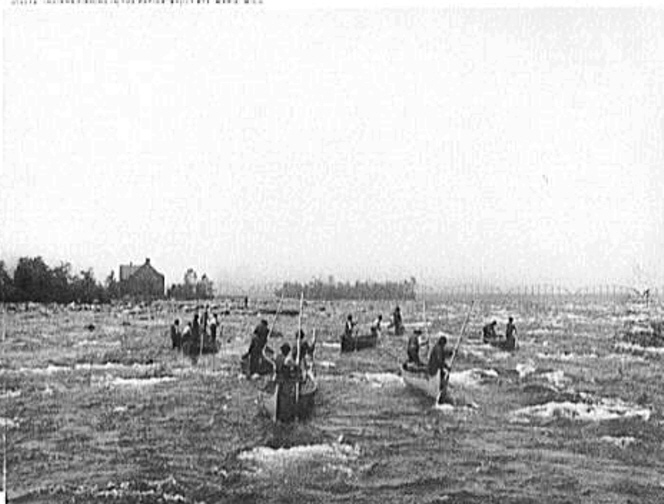 The Church established their main mission on the St. Mary’s River near present-day Sault Ste. Marie. Now for a change of pace. This week and maybe the next two I want to describe the culture and some of the traditions held by France’s native allies. More of how we lived than what we did. The Ojibwa were Algonquian-speaking people and we had a far different lifestyle than the Iroquoian-speaking people we have been learning about. The Iroquoian-speaking people were agrarian people. They produced excess farm products particularly squash, beans and corn. Their towns were considerable in size with one to two thousand or more people living there. They constructed double palisades around the town. Inside the palisades they constructed long houses about 100 feet long and 30 feet high. On the insides they sectioned off double bunks where a whole families would sleep in each of the sections. Communal fires were placed every 30 feet or so for cooking. Outside the palisades they farmed large tracts of land. They understood the principle of crop rotation but practiced it differently than Europeans. Their towns were not as permanent as those build by the Europeans so they rotated the entire town approximately every ten years. They would move to a previously used site, build a whole new town and let the fields at the old site go fallow. They usually had two or three town sites they would rotate. 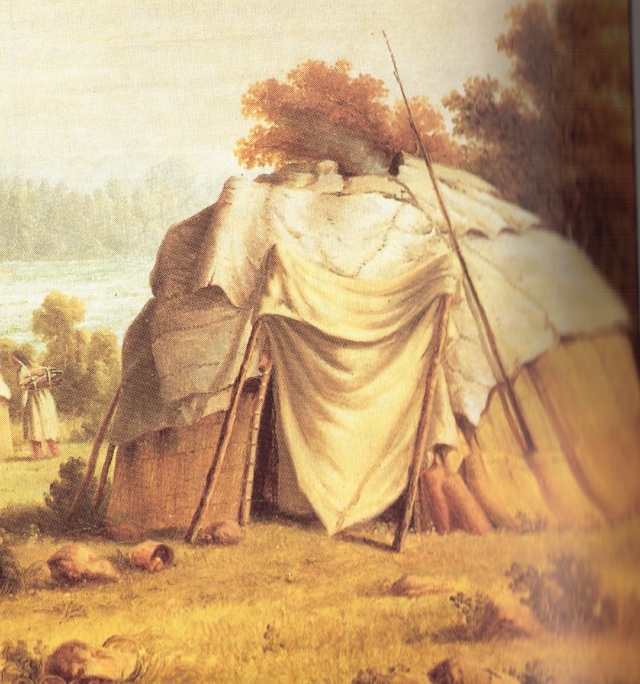 This agrarian lifestyle made the Huron good candidates as trading partners for the Algonquin speaking peoples. 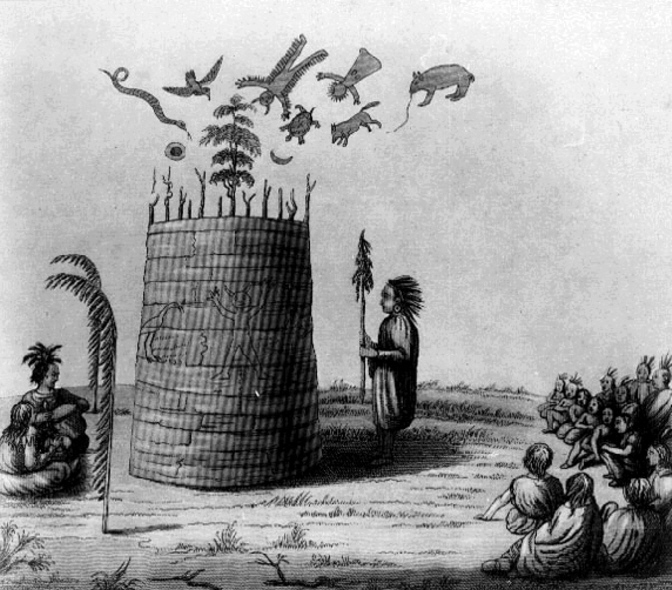 The Ojibwa and Ottawa were hunters and fishers and their lifestyle produced an excess of meat and fish products. 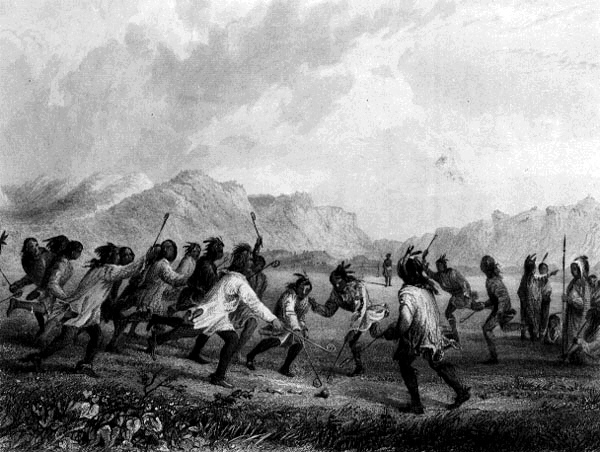 The economic system of the native peoples was totally unlike the economic system of Europe. For example, in Europe if there was a nation of fishers on the coast and a nation of farmers on a plain they would trade by bargaining. One may offer a bushel of wheat for three barrels of fish. The other would counter offer a barrel of fish for a bushel of wheat. They may come to an agreement of two barrels of fish for a bushel of wheat. Or they may not be able to come to an agreement. If they could not they would let the excess produce rot. Not so with the aboriginals of North America. They had no monetary system and their worldview would not allow them to waste their extra produce. The Europeans’ Judeo-Christian teachings said that humanity was God’s crowning achievement and they were to dominate and subdue the world. The product of their work was theirs to do with as they wished. On the other hand native peoples saw humanity at the bottom of a hierarchy the weakest of God’s creatures. Naked and vulnerable our teachings said that the Great Mystery asked mother earth to sustain us. That included the animals, fish and birds giving up their lives for our sustenance. They agreed so everything that we had including life itself was a gift from the Creator. It would be an affront to mother earth who sustained us and to the Master of Life who ordained it so to let the Great Spirit’s gifts go to waste. There was no haggling over excesses. We would give to each other freely. If one suffered a drought and crops failed the other trading partner would give up all their excess meat and fish knowing that what goes around comes around. 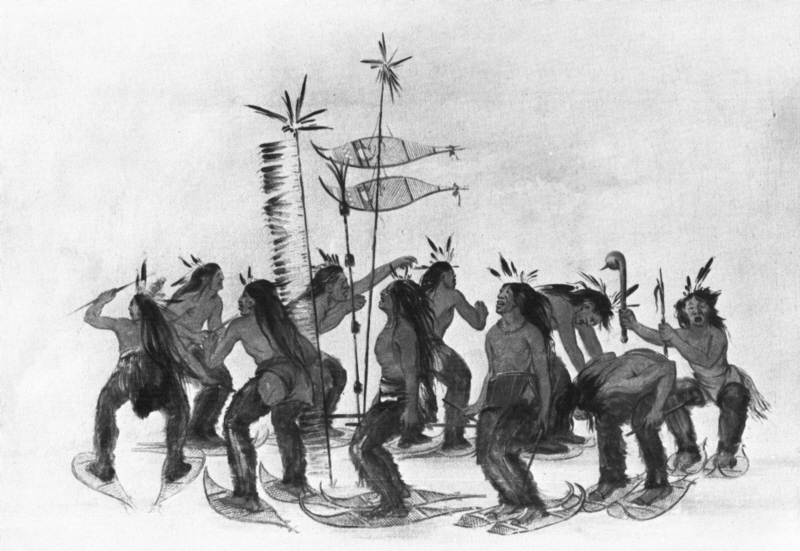 The Ojibwa word for this type of trading was “daawed”. Here is a hint. This word is going to come up much later so this type of trade is important to remember. NEXT WEEK: Lifestyle and Worldview of the Ojibwa. They speak about territory we know about, and might have lived in or visited (the area straddling both sides of the St. Clair River, extending into both present-day Michigan and Ontario). But they do it from a very different perspective than most of us comprehend. In fact we might say that these books are sorts of historical travel guides, telling the story of a place of which many of both its current inhabitants are unaware. David Plain writes not so much to make a point as to revive a long memory, and offer the unique perspective that comes with such an exercise. http://www.nspeidiocese.ca/times/2009/DT%20MAR%2009%20Web.pdf The review can be found on page 7.